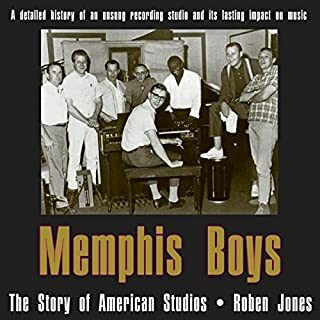 Memphis Boys chronicles the story of the rhythm section at Chips Moman's American Studios from 1964, when the group began working together, until 1972, when Moman shut down the studio and moved the entire operation to Atlanta. Utilizing extensive interviews with Moman and the group, as well as additional comments from the songwriters, sound engineers, and office staff, author Roben Jones creates a collective biography combined with a business history and a critical analysis of important recordings. Very interesting but too long. I grew up near Memphis and always loved the music that came out of there; but I never realized that so much of the music I loved in the sixties and early seventies came from the American studio in Memphis. These musicians were second to no one. As far as the book is concerned, it is quite a bit too long. Too much time was spent on descriptions of the recordings; sounding too much like Rolling Stone record reviews. I often had to stop listening to the book, and go on YouTube or ITunes to find the recording being described. It was also hard to follow the cast of characters. As a visually impaired person, I am restricted to audiobooks, but I would imagine that the hard copy would have photos of all the people involved. The reader did a good job, but did mispronounce a few names. 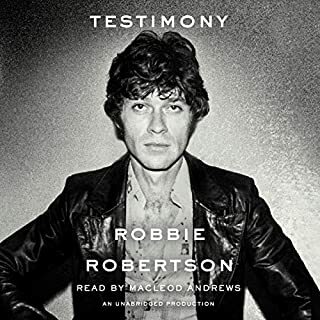 Overall, I enjoyed the audiobook. Would you listen to Paul McCartney again? Why? 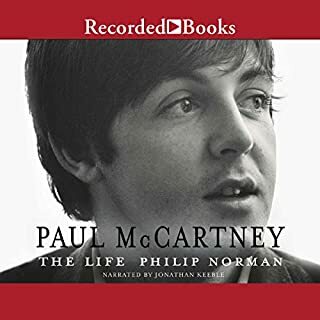 I have read almost everything ever written about The Beatles including several McCartney bios. This is definitely the most detailed and most interesting. If you read only one, this is it. I loved this book; was a huge fan of The Band. I was disappointed that Robertson didn't discuss the aftermath of the breakup of the group. Very funny - for a while. Great sense of humor, but the jokes got old after a while. I hope the author knows that rich and ruthless Democrats exist in this world, but evidently only Republicans exhibit those qualities in this book. 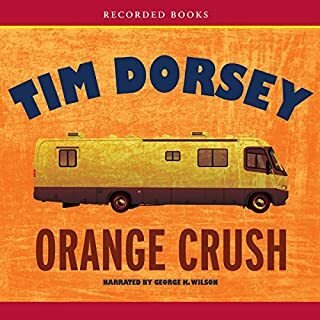 Would you ever listen to anything by Tim Dorsey again? Not sure. I like his style but about half-way through I couldn't wait for the book to end so I could start something else. (Vision impaired, so it's only audiobooks for me) The reader was excellent. The Eagles are the bestselling, and arguably the tightest-lipped, American group ever. Now band member and guitarist Don Felder finally breaks the Eagles years of public silence to take fans behind the scenes. He shares every part of the bands wild ride, from the pressure-packed recording studios and trashed hotel rooms to the tension-filled courtrooms, and from the joy of writing powerful new songs to the magic of performing in huge arenas packed with roaring fans. Excellent book by a very underrated guitarist. 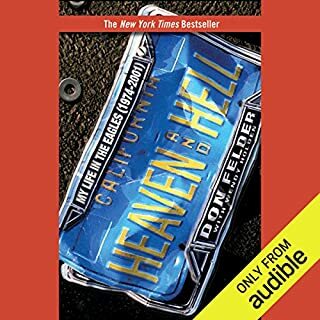 Where does Heaven and Hell: My Life in the Eagles (1974-2001) rank among all the audiobooks you’ve listened to so far? I'm not going to answer all these review questions. I just want to say that any fan of rock music in the seventies should read this book. Contrary to one reviewer, Felder is not a whiner. He describes the true life of a rock star; the good and the bad, and there was plenty of bad. Felder is one of the greatest guitarists of all time, and most people probably don't even know who he is. Very eye-opening; excellent narration; get this book. What would have made Look Homeward, Angel better? A plot! A purpose! I just don't get the great American novel reputation. I thought this was a waste of over thirty hours, when I count the times I had to back up to see if I missed something. 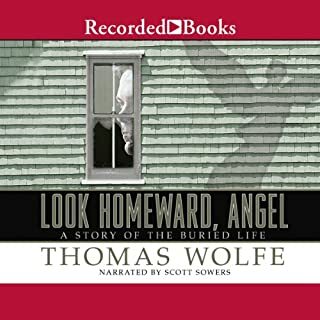 Would you ever listen to anything by Thomas Wolfe again? I had never read anything by Wolfe before, and I'm pretty sure I will not again. What about Scott Sowers’s performance did you like? The performance was fine. No complaints about that.